What happens when two of the most popular and influential electronic artists come together to collaborate on a new track for the world to hear? Well, we are about to soon find out. With not much more verification other than this photo, fans in the EDM community remained hopeful that this was a collaboration that was really going to take place. 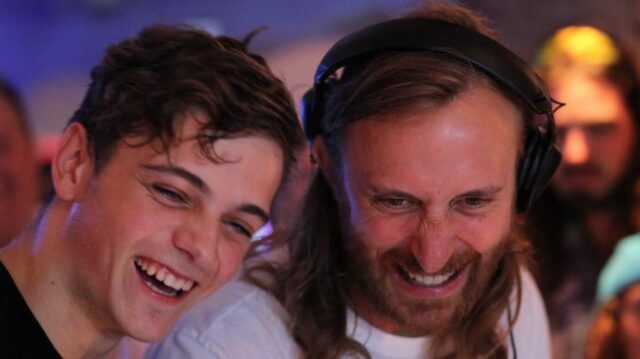 Luckily, David Guetta addressed the collab when he interviewed with a radio station in the UK. He explains that the new track consists of two ideas/versions: one is meant for a club-like atmosphere and the other is meant for radio play. Guetta can barely contain his excitement while describing the new track after exclaiming \”It\’s Big!!! !\” As of now, there are no mentions of a track title or release date, and fans will just have to wait patiently for the big reveal.